What a welcome sign of warmer weather, a basket full of flowers and cats on flying pigs! 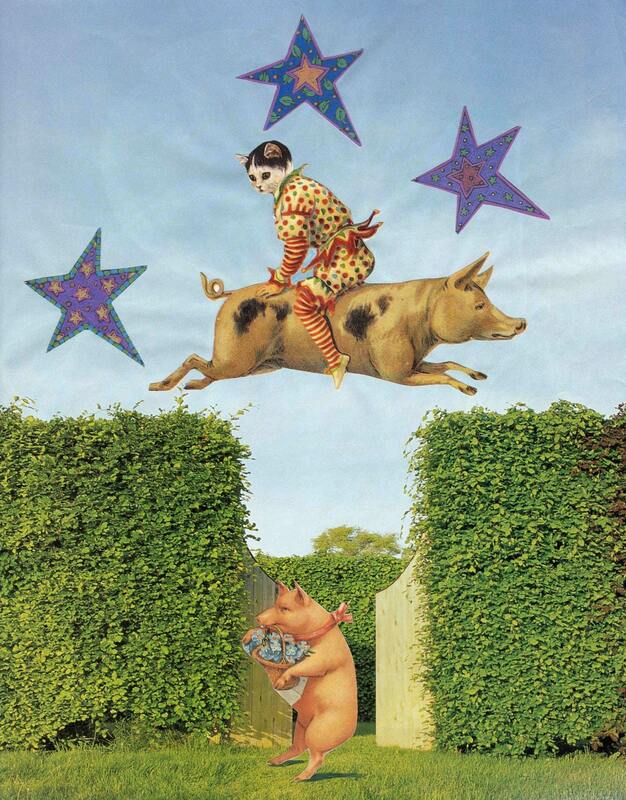 This is a whimsical collage I made a couple of years ago. It's still one of my most popular designs. Each notecard measures 4 1/4 x 5 1/2 " and comes with a white envelope in a cello sleeve. It was so original and funny and really well made. I will absolutely order more cards from them. The quality is that of Papyrus or Paper Source but half the price and more creative. It had a great extra insert for free that I put on my fridge. A playful, fun, yet meaningful card by a creative artist.